Parameters help in the flow of information to and from a method. When passing a parameter, they can be included inside the braces following the method name. The syntax to declare a parameter is exactly like the one used to declare a variable. When more than one parameter is passed, they are separated using commas. 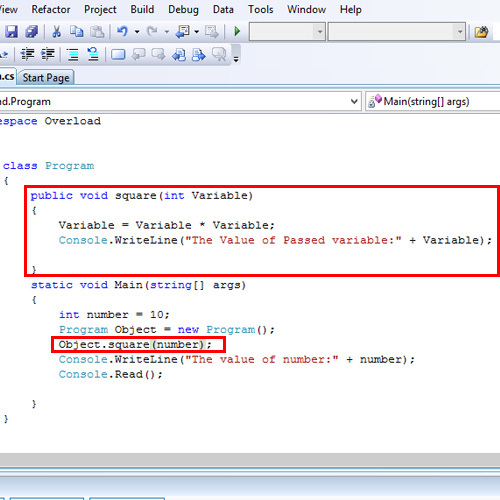 The parameters are passed in braces in the method call. The parameters are passed by value to a method. 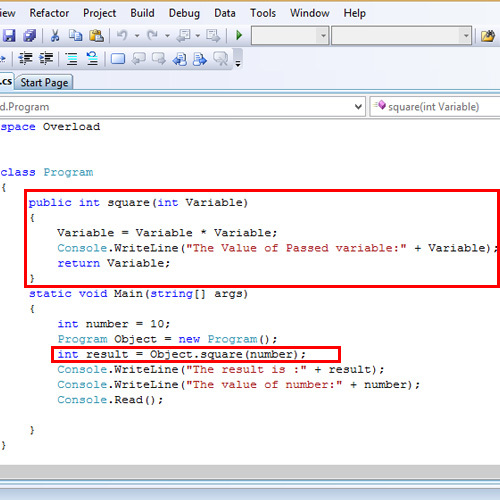 This is referred to as variable parameters in C#. New memory locations are created for all the parameters in the method call. The values of the parameters are copied in those locations. 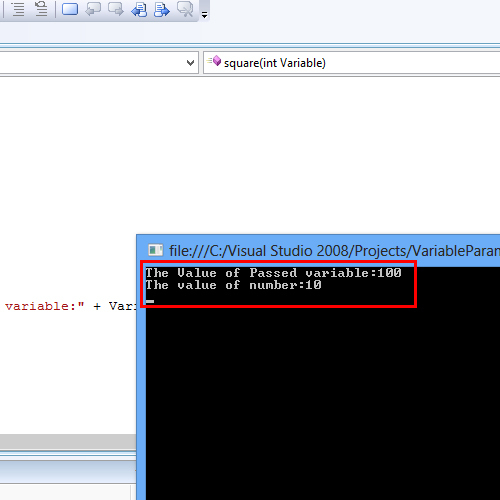 So the changes in the value made inside the method does not reflect on the parameters in the method call. You should make sure that the data type of theparameters being passed should match the parameters’ data type specified in the method declaration. 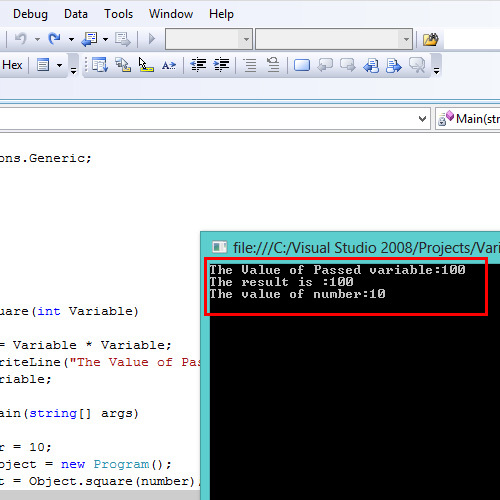 When you run the program you can note that as the value of Variable changes, the value of the number does not change. They both have different memory allocation. Notice the the ‘void’ keyword is replaced by int. Thus the variable result holds the square of the number.